Would You Leave Your Child to Play at a Park? When you were a kid, how often did you hop on your bike and race down to the nearest playground with a group of your buddies from up and down the street? How much of your play time was spent without the direct supervision of an adult? One writer, Lenore Skenazy, believes that we should allow our kids those same freedoms as a way of building independence and confidence. You may recognize Skenazy for being the mom who allowed her nine-year-old to ride the subway by himself, resulting in national television appearances and now a book and blog through which she advocating raising “free-range kids.” As part of her efforts, she has proclaimed one Saturday in May to be “Take Your Kids to the Park . . . and Leave Them There Day.” Skenazy points to statistics that demonstrate crime rates, for both kids and adults, are lower than in the 1970s and 1980s and asserts that the common fears of kidnapping and predators are overblown. Skenazy believes that around age seven is an appropriate age to allow kids to spend time at the playground without adult supervision, assuming they are accompanied by other kids and the members of the group look out for one another. As an author who has included child abduction in my storylines, someone who studies criminal behavior and has spent a great deal of time talking with police officers about what they face every day, I can see both Ms. Skenazy’s desire for kids to have a childhood that doesn’t require an adult observing every move but I also understand the concerns that many have with her proposal. Today, though, I want to know your thoughts. Do you allow your kids to play unsupervised? At what age is this acceptable? What trends of childhood play are you seeing in your neighborhoods? What about this notion of advertising the fact that kids will be unattended at the park on this one certain day? This entry was posted in crime, Police and tagged award winning author and criminologist jennifer chase, child abduction, child safety, crime, dark mind, emily stone series, Lenore Skenazy, thriller. Bookmark the permalink. 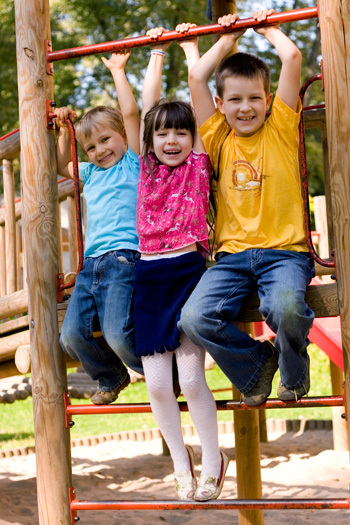 4 Responses to Would You Leave Your Child to Play at a Park? My son is 10 now and I started letting him play out front last year on a green outside the house providing there were other children outside with him. It is only the last month I have let him take his scooter 1 street away – about 30 seconds away but out of sight – for the last month. He has been very good at coming straight back if his friend is not there but if he hadn’t then I would have stopped it as I still get panicky when he is out of sight too long. I worry about being over protective but my job is to make sure he is safe as well as happy. He is a very bright child and I have always explained why I ask him to do or not do things. He is very understanding and considerate of my feelings on this and that adds to the trust between us. I wouldn’t even leave my children unattended in the front or backyard. The innocence we experienced growing up is gone. And that, perhaps, is the greatest tragedy our nation faces. No way. Too many predators out there. I do let our daughter (6) play out front, but only when I’m in the front room and can see her. I don’t let her ride her scooter around the block unless I’m with her and can’t see myself doing that any time soon. I always try to take a book with me to the park, but I can never really concentrate because I’m always watching. NO WAY. I remember things that happened on semi supervised parks & no way would I leave my 7 year old in a park unsupervised. 13 + may be a time to consider less supervision. A parent standing off at a distance is not a parent hanging on every word the kids say. There are many crimes, bullying, & sexual things that happen every day that go unreported!!! A parent can not be too safe.